Under-sink detergent pull-outs organise all your cleaning products and make them fully accessible with a simple slide out. This ELITE Detergent pull-out includes baskets that lift off so you can conveniently take your cleaning products where you need them. A detergent pull-out with easy lift-off baskets keeps all your cleaning products organised under your sink. Simply slide out for full access, and lift a basket off to take it where you need it. ELITE has mastered kitchen storage again! Soft Stop Sliders - This unit will not slam closed like cheaper competitors. A simple slide in and it will softly close itself back into position. Drip Trays - Your cleaning liquids can leak. ELITE has thought of that with easily removable and cleanable drip trays. Under-Sink Clearance - The mounted unit is 415mm high so designed to fit under an installed kitchen sink and utilise space effectively. Easily Installed - As this unit is bottom-mounted most DIY enthusiasts can install this. 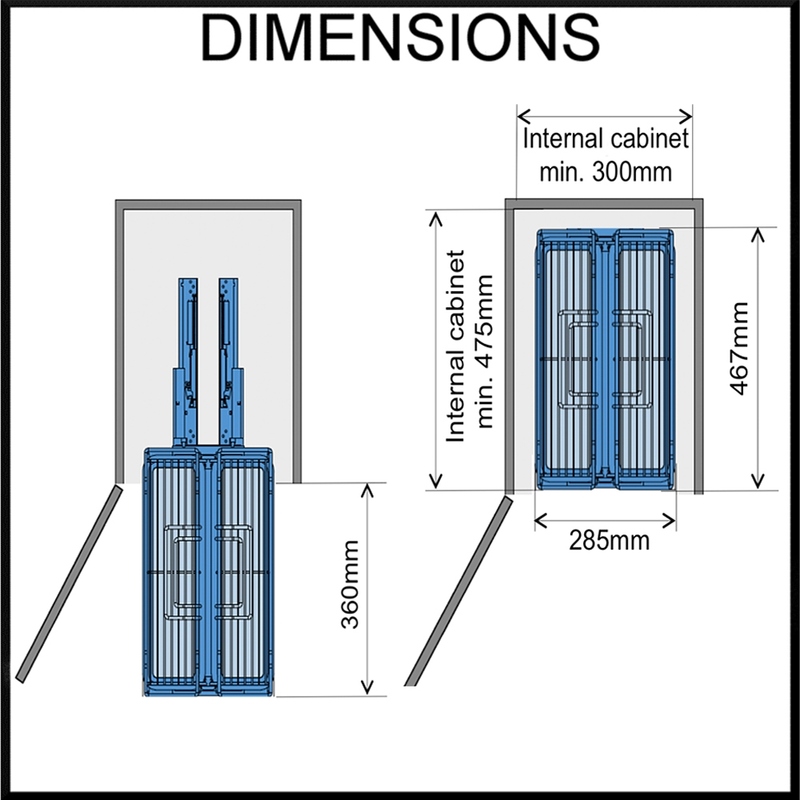 Simply affix to the cabinet base with the fixtures provided. Click on the icon below to download the installation manual PDf for this product.